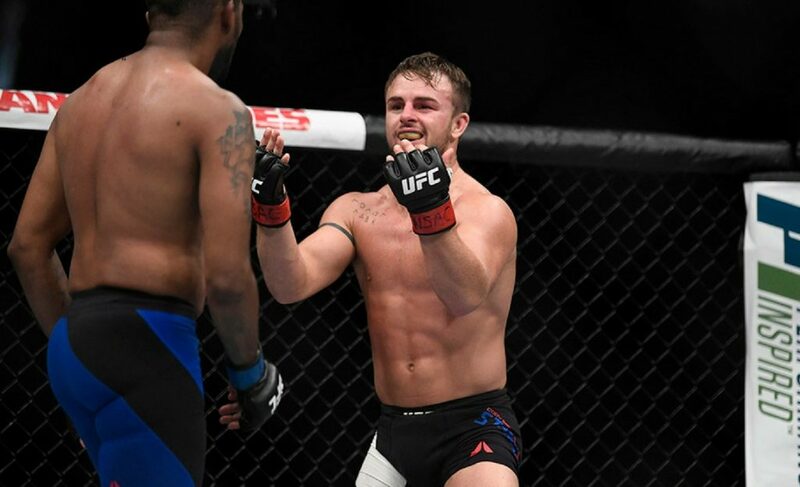 This weekend’s upcoming UFC 222 card contains a fight that Brazilian Jiu-Jitsu aficionados have been eagerly anticipating for a long time. 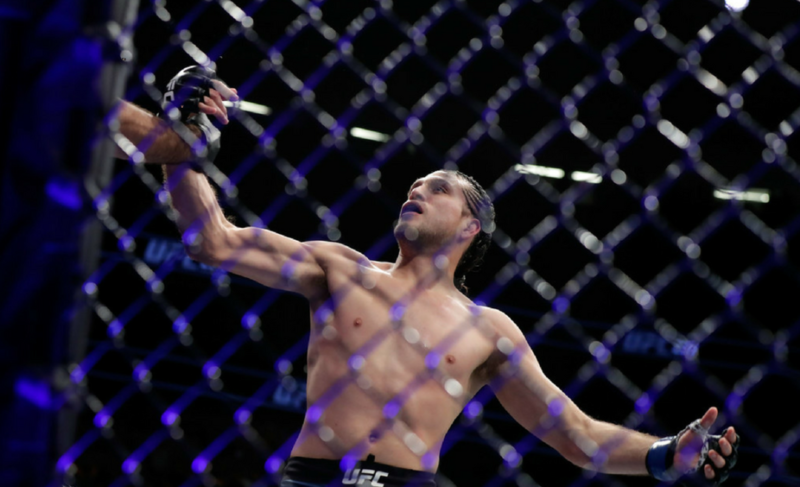 While those who come from a grappling background are very excited to see the Gracie Academy prodigy Brian Ortega take on MMA legend Frankie Edgar in the co-main event, there is another contest that has been eagerly awaited, and this one is live and free on the FOX Sports 1 undercard. This weekend will be the highly anticipated UFC debut of jiu-jitsu prodigy Mackenzie Dern, who will be looking to remain undefeated as she takes on Ashley “The Spider Monkey” Yoder in a women’s strawweight bout. Those who have been excited for Dern to compete in the UFC since she first showed interest in mixed martial arts need no motivation to watch these two women compete. But, every fan should be eager to watch this bout as well, as it has the potential to be the debut of a significant competitor in the women’s strawweight division. 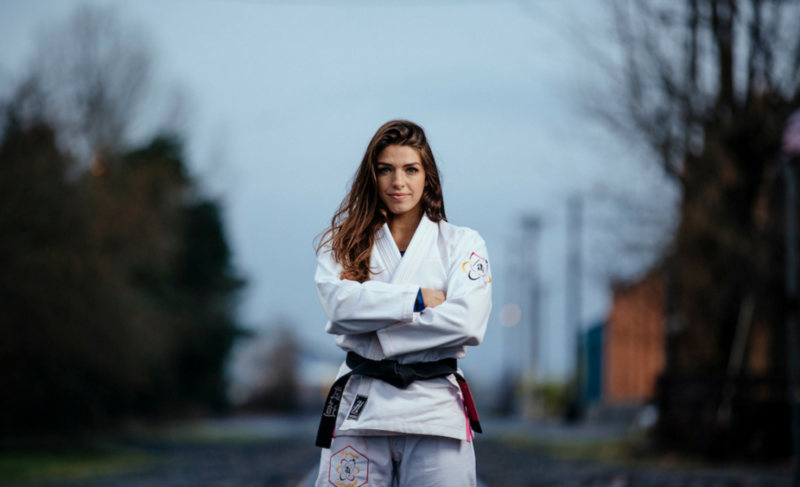 The name Mackenzie Dern has been both well respected and feared within the competitive BJJ scene for many years now. Not only is she the daughter of a living legend, but she has racked up a number of outstanding achievements in both Gi and No-Gi competition. Dern is the daughter of world-renowned jiu-jitsu competitor Wellington “Megaton” Dias, a fifth-degree black belt under the legendary Royler Gracie, who has won just about every title winnable in grappling competition. Megaton started training his daughter at the age of three, and the results of her early introduction to the sport speak for themselves. Dern’s competition record is beyond impressive. She is a Gi World Champion, a No-Gi World Champion, a two-time Pan American Champion, a two-time Abu Dhabi World Cup Champion, as well as having won the prestigious ADCC Submission Wrestling World Championship at the age of 22. These are just a few of the tournaments she’s won gold in, as she has a litany of other second and third place titles to her name as well. To put it mildly, when it comes to submission grappling, Mackenzie Dern is good. Really, really good. Since her professional MMA career began a mere two years ago, Dern has managed an impressive five-fight win streak, proving that she is not just another name on the long list of decorated grappler unable to transition successfully into mixed martial arts. Whether or not she will be able to continue this success at the highest level, however, remains to be seen. So far, we have seen a fighting style that one would expect from a jiu-jitsu specialist such as Dern, with the classic strategy of taking her opponent down and establish a g dominant position, before peppering her opponent with strikes to open up submission opportunities. Dern implemented this game plan perfectly to submit a very tough Kaline Medeiros in her most recent bout. With 55 seconds left in the third round, Dern landed a beautiful inside trip takedown before hip switching past Medeiros’ guard and effortlessly mounting her all in under ten seconds. Dern then battered her opponent with strikes, drawing out Medeiros’ arm and submitting her with a seamless armbar with only 15 seconds remaining in the fight. 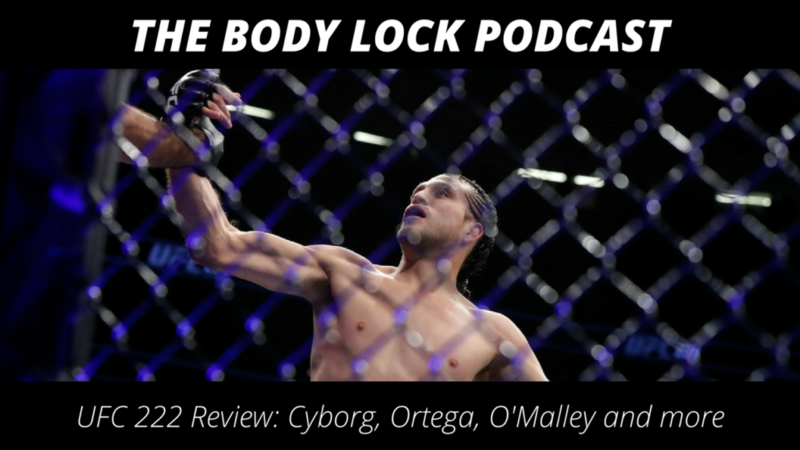 While she has proven to be able to effectively implement the classic grappling strategy of takedown, pass, submit, Dern has also shown a level of striking that is well above what any would have expected from her. 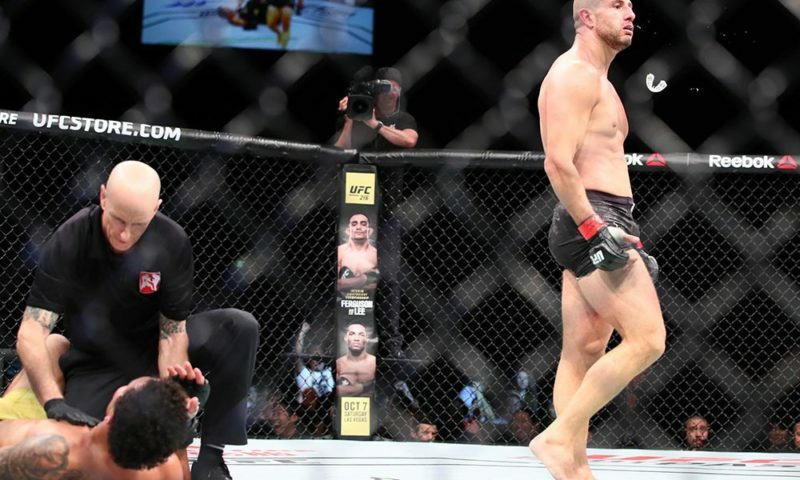 Prior to submitting Medeiros in the third, Dern was actually out striking her on the feet, an unexpected occurrence for both Medeiros and the spectators. Preceding the fight with Medeiros, Dern was able to make quick work of her opponent Mandy Polk, dropping her with a clean combination before taking her back and strangling her in the first round. Her last two bouts have shown Dern is making consistent, consequential improvements in her striking, a trend that if she is able to maintain, will make her an incredibly formidable opponent at 115 lbs. While this is Dern’s first bout in the UFC, the same can’t be said for her opponent. Looking to spoil the newcomer’s win streak is Ashley Yoder, who needs to snap a streak of her own. 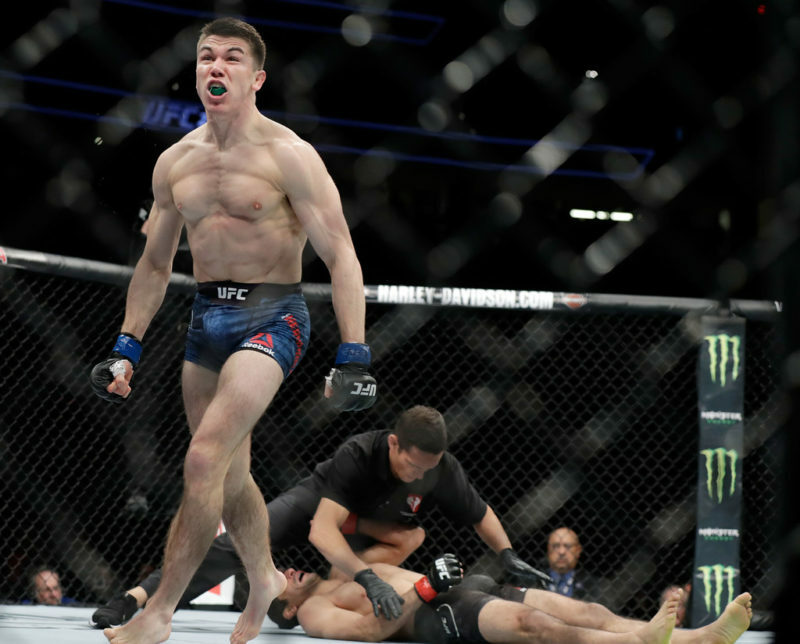 Yoder has fought twice in the UFC, and has lost both times. The UFC brass likely won’t hold on to a fighter with three consecutive loses, so she is going to have to fight like hell if she wants to beat Dern and keep her UFC career alive, a feat which could prove difficult. Yoder’s primary strength lies in her grappling, with four of her five professional wins coming by way of submission, all being armbars. While her submission game is impressive, she has yet to face a grappler as skilled as Dern, and probably would not fare well in doing so. Yoder makes far too many grappling mistakes, which have gone unexploited by her preceding opponents, but will get her absolutely mauled by a jiu-jitsu practitioner of Dern’s caliber. In her UFC debut against Justine Kish, Yoder was almost submitted by a deep anaconda choke, and she was unable to impact her opponent with any significant damage or submission attempts the few times she was able to establish top control. 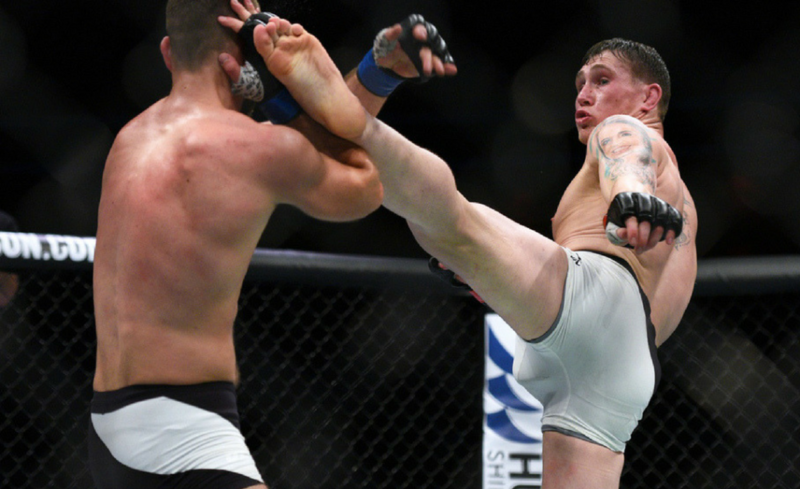 In her most recent fight against Angela Hill, she was unable to pass Hill’s half guard, and, again, unable to cause any consequential damage before Hill was able to get back to her feet. Yoder is by no means a bad grappler, in fact she’s quite good, but she is not good enough. Dern has made better grapplers than Yoder look helpless, so if she wants any chance at winning she is going to have to stay off the floor and on her feet, although even that may not be sufficient. Yoder has shown a level of striking that is higher than what we’ve seen from Mackenzie Dern, but for someone whose strength has always been her submission game it is difficult to see how she will be able to win on Saturday night. Yoder utilizes an effective lead leg push kick that keeps her opponents away and stifles their takedown attempts, as well as a good counter left, but these will not likely be enough to beat an opponent who has a far superior grappling skill and has shown to be improving her striking at both a fast and consistent rate. Based on their last bouts, one has to give the striking advantage to Yoder, but if Dern has been improving at the pace we have seen previously, it is entirely possible that she shows up on Saturday night with a superior grappling and striking skillset than those of her opponent. And if Yoder is planning to force Dern into a kickboxing match, she hasn’t shown she has the takedown defense to do so. While her aforementioned lead leg push kick is useful for keeping opponents out of takedown range, if Dern is able to get past it she will likely be able to take her down without too much difficulty, as Yoder was taken down by both Hill and Kish, two fighters with significantly less grappling skill than Dern. Coupled with being completely outclassed on the ground, if Yoder hasn’t made substantial improvements to her striking and takedown defense in the seven months since her last fight, it is hard to see how she will not be taken down and submitted by Dern inside of the first round. The majority of fans are not likely to know about Dern’s impressive background in both MMA and BJJ competition, and will probably view this fight as just another mediocre preliminary bout. This is not the case. 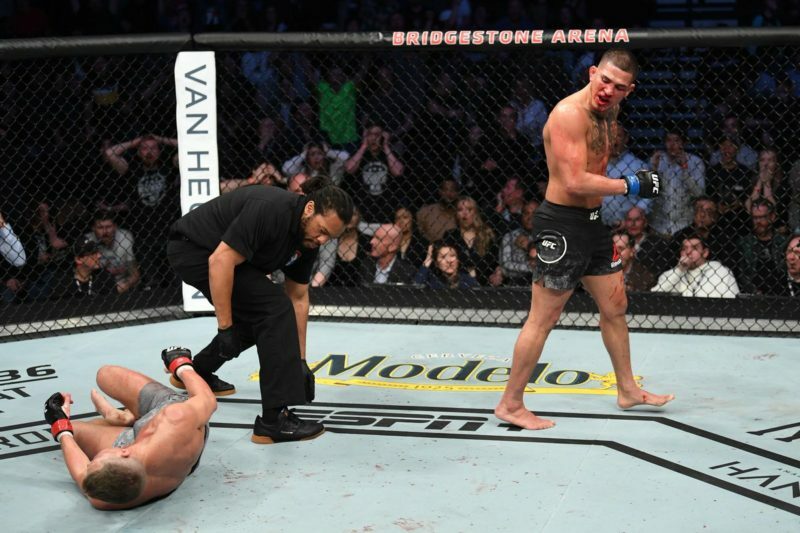 Anyone who appreciates watching the UFC, whether the casual fan who enjoys the always fun random violence, or the more passionate viewer who watches for the complicated martial arts techniques and narrative driven storylines should watch Mackenzie Dern compete on Saturday night. Not only does she have the potential for incredibly exciting submission finishes like the omaplata/rear-naked choke combination she used to finish Montana Stewart, but she appears to be improving other aspects of her game at a rate that is indicative of a future serious contender. 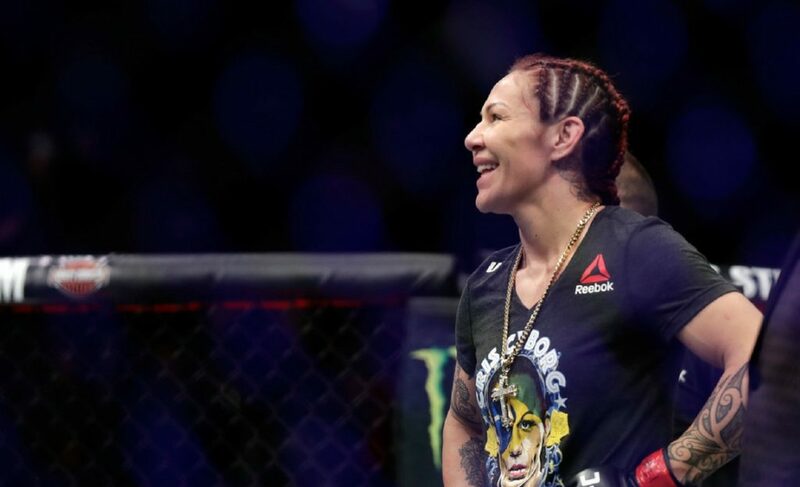 Women’s strawweight has always flown a bit under the radar in the UFC, most likely due to Ronda Rousey’s bantamweight career drawing away all the attention of both the fan base and the UFC management. 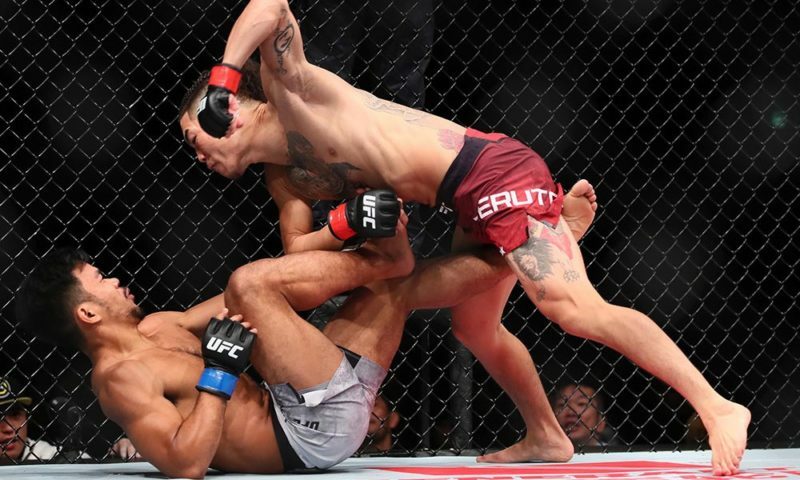 In my opinion, it is the most underappreciated division, although with the upcoming title fight rematch between Rose Namajunas and Joanna Jedrzejczyk that seems to be changing. 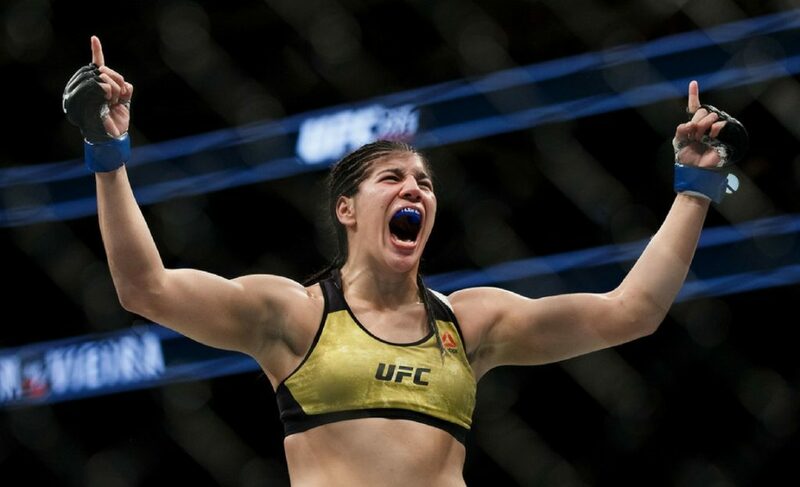 The MMA world is starting to pay the long overdue attention to the exciting and compelling women’s straweight division, and Mackenzie Dern is likely to be a big part of the coming narrative. You’re not going to want to miss her first test to see if she has what it takes, or if she is just the latest in a long line of over hyped one trick ponies.